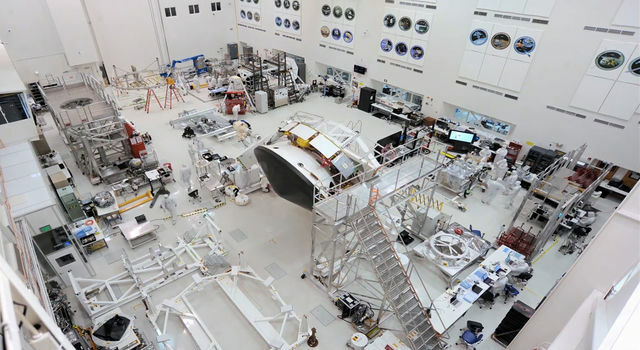 Valentine's Day is special for NASA's Voyager mission. 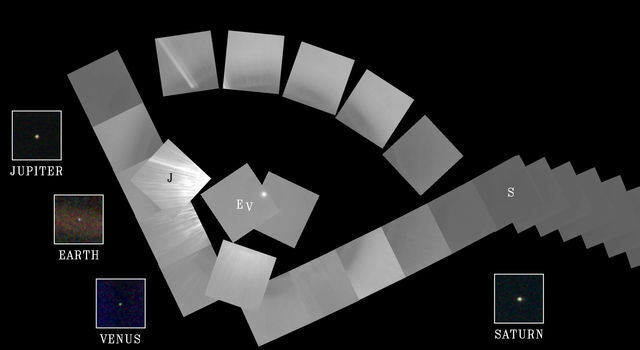 It was on Feb. 14, 1990, that the Voyager 1 spacecraft looked back at our solar system and snapped the first-ever pictures of the planets from its perch at that time beyond Neptune. This "family portrait" captures Neptune, Uranus, Saturn, Jupiter, Earth and Venus from Voyager 1's unique vantage point. 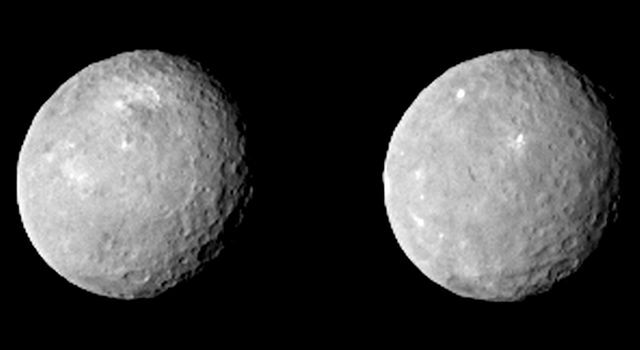 A few key members did not make it in: Mars had little sunlight, Mercury was too close to the sun, and dwarf planet Pluto turned out too dim. 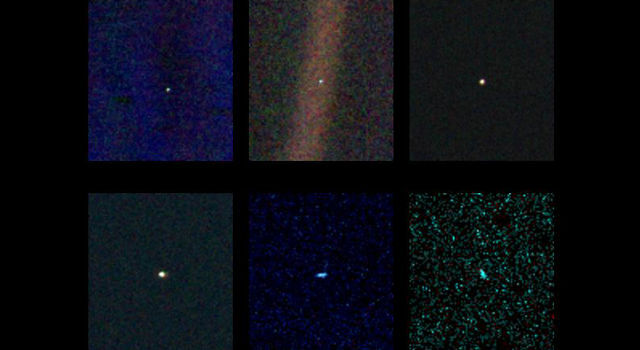 "Twenty-five years ago, Voyager 1 looked back toward Earth and saw a 'pale blue dot,' " an image that continues to inspire wonderment about the spot we call home," said Ed Stone, project scientist for the Voyager mission, based at the California Institute of Technology, Pasadena. 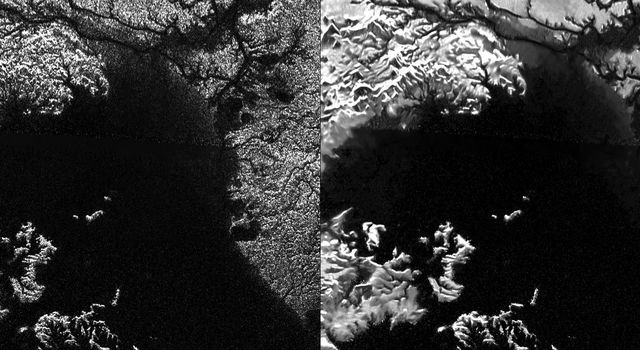 "After taking these images in 1990, we began our interstellar mission. 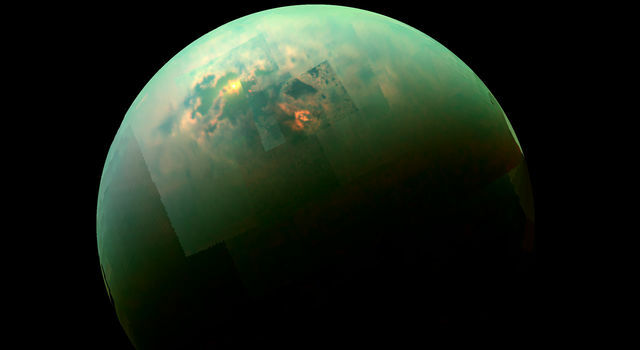 We had no idea how long the spacecraft would last," Stone said. Today, Voyager 1, at a distance of 130 astronomical units, is the farthest human-made object from Earth, and it still regularly communicates with our planet. In August 2012, the spacecraft entered interstellar space - the space between the stars -- and has been delivering data about this uncharted territory ever since. 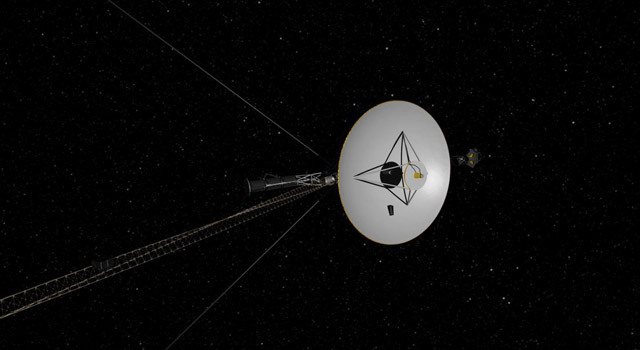 Its twin, Voyager 2, also launched in 1977, is also journeying toward interstellar space. Voyager 1 is more than three times farther from Earth than it was on Valentine's Day 25 years ago. Today, Earth would appear about 10 times dimmer from Voyager's vantage point. 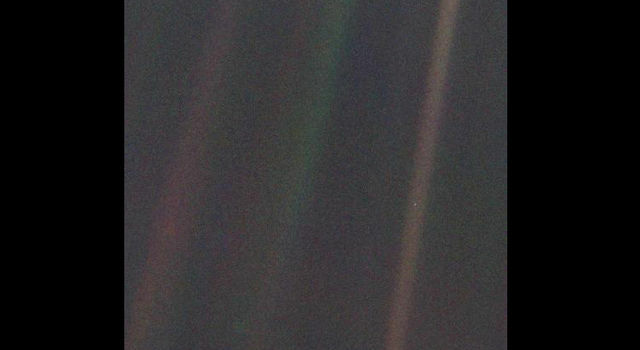 Sagan wrote in his "Pale Blue Dot" book: "That's here. That's home. That's us. On it everyone you love, everyone you know, everyone you ever heard of, every human being who ever was, lived out their lives. ... There is perhaps no better demonstration of the folly of human conceits than this distant image of our tiny world." NASA's Jet Propulsion Laboratory, Pasadena, California, built and operates the twin Voyager spacecraft. The Voyagers Interstellar Mission is a part of NASA's Heliophysics System Observatory, sponsored by the Heliophysics Division of NASA's Science Mission Directorate in Washington.